Made from 100% 6.2 oz. 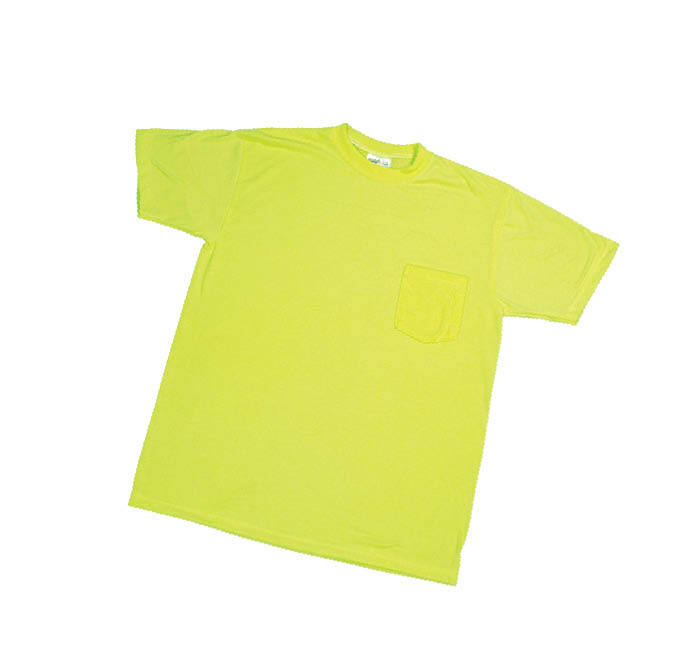 polyester, Our high visibility t-shirt features HydroWickTM technology which wicks away moisture from your skin for a soft, comfortable, dry feel. HydroWickTM is a process that allows perspiration to dry away from the skin, leaving the wearer cool and comfortable even in the most demanding conditions. It´s soil release properties also reduce stains. Available in Lime and Orange in sizes M-4XL.